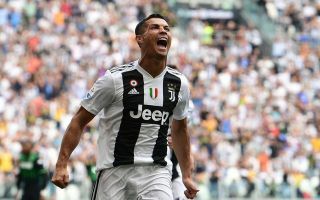 Juventus face Udinese in Serie A on Saturday and after his absence in midweek, Cristiano Ronaldo is expected to return to the starting line-up. The 33-year-old served a one-match suspension in the Champions League against Young Boys, and so now with the return to domestic action, he’ll be looking to add to his tallies of three goals and five assists in seven Serie A games. However, coach Massimiliano Allegri does have other issues with his line-up. As per the tweet below from Sky Sport Italia, midfield stalwart Sami Khedira has been ruled out while Mattia De Sciglio and Daniele Rugani remain doubts as they continue to recover from injuries. Meanwhile, Douglas Costa is said to be fit, but he’ll serve the last game of his suspension and won’t be available for selection. Despite those absences though, Allegri unsurprisingly still has a strong squad to pick from as the Turin giants look to make it eight wins in eight to start the campaign. Ronaldo is likely to be joined by Paulo Dybala and Mario Mandzukic in attack, with the former hopeful of building on his hat-trick in midweek and to prove that he can still be equally as effective with the marquee summer signing in the line-up alongside him. Federico Bernardeschi could continue in a midfield role while there’s plenty of experience and quality running through the rest of the team including in the backline with Leonardo Bonucci and Giorgio Chiellini tipped to lead the way in the heart of the defence. Udinese have picked up eight points from their opening seven games, and so the odds are firmly stacked against them in terms of producing an upset against the champions. Time will tell though with the international break upon us, if Juventus can avoid a slip up especially with the fixture schedule getting busier in the past fortnight.